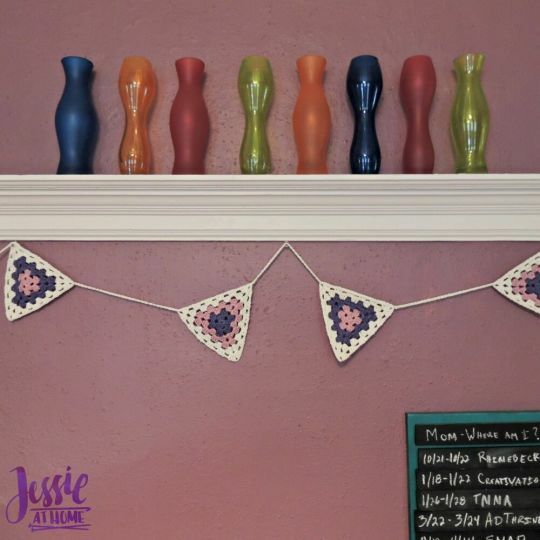 This easy pattern is a great way to dress up a room or an event. Use team colors or colors to match your decor. Bunting is so fun and versatile! The Granny Triangle Bunting is super easy to make because it is just a Granny triangle, so there are double crochet stitches and chain stitches and that is it! Enjoy.